The events leading up to Ichabod’s birth are horrific. On that day his father, Phineas, was killed in battle. When his grandfather Eli heard about his son’s death, he fell off the city gate breaking his neck and died. When his mother hears that her husband and father-in-law are both dead, she goes into premature labor. She ultimately died shortly after giving birth to her new baby boy. She lives long enough to name him, Ichabod. All this took place on his birthday. The magnitude of tragedy surrounding this baby is astounding. On the day he enters the world, all his family is taken from him. He will never know his parents or grandfather. His birthday will forever coincide with the memorials of his mom, dad, and papaw. You would think his name, Ichabod, points to these tragic events. It is a terrible, depressing name. It means, “the glory has departed.” Surely his mother chose this name wisely. Happiness has departed from this family. Joy has departed. Laughter, smiles, fun have all departed because of these deaths. But the name Ichabod is not necessarily referring to the wholesale departing of her family. It is referring to the glory of God departing. It is referencing the Ark of the Covenant being taken by the Philistines in battle (1 Sam. 4:11). God’s presence had been taken away from the people of Israel and Ichabod’s mother is mourning this devastating turn of events. When God’s presence leaves you, it is Ichabod. If God was not with you, you could not breathe. You could not move or think. You could not be or do anything without his presence. 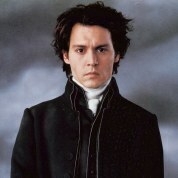 There is only one moment in all of our lives that we can experience Ichabod. It is that moment when someone dies without having received Jesus Christ as their personal Lord and Savior. Without Christ, we are all destined for Ichabod – an everlasting existence without the glory of God.